Following US-CERT’s report, Symantec’s research uncovered the key component used in the group’s recent wave of financial attacks. 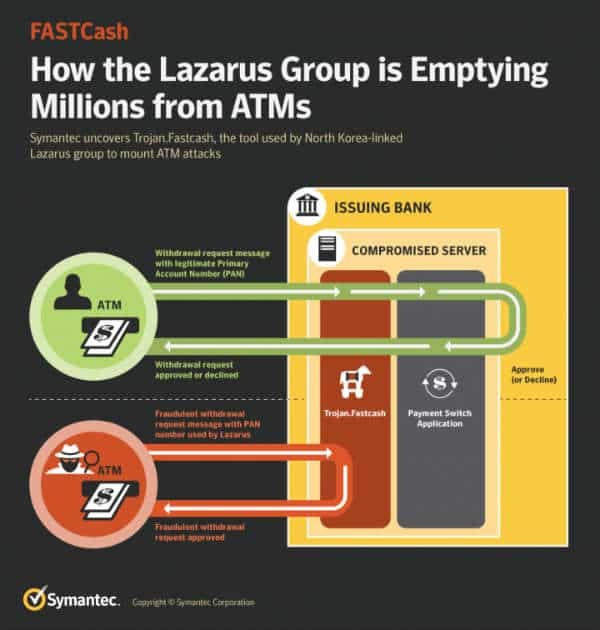 The operation, known as “FASTCash”, has enabled Lazarus to fraudulently empty ATMs of cash. To make the fraudulent withdrawals, Lazarus first breaches targeted banks’ networks and compromises the switch application servers handling ATM transactions.